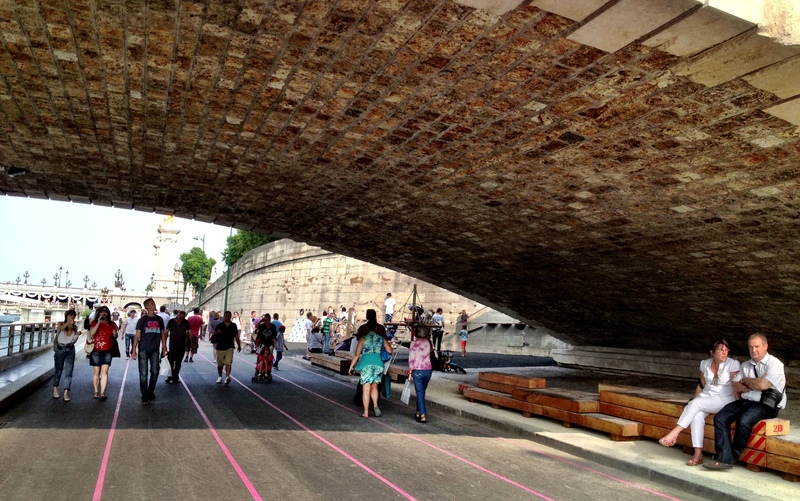 Paris has an amazing public space project underway along the River Seine that I’ve followed for the last several months. It intends to permanently deviate vehicular traffic along some of the city’s busiest roads, transforming a few kilometers of this arterial into a cycling and pedestrian zone: full of cafés, art and entertainment spaces, bike paths and floating gardens. 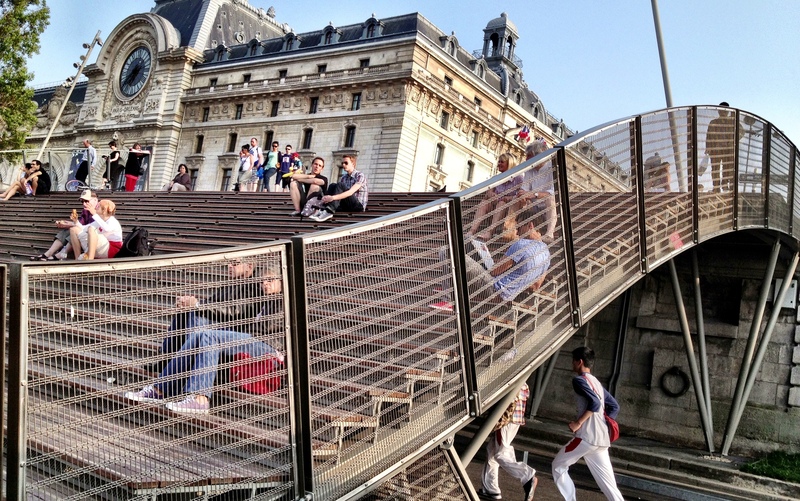 In July 2013 on a visit to the city soon after its official opening, I was eager to see this public space project firsthand. Wandering through the area, it did not disappoint. 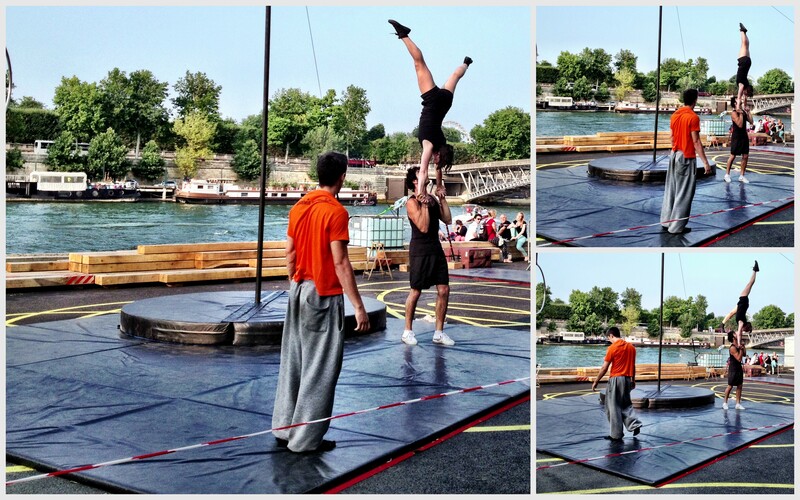 Paris just became a bit more magical. 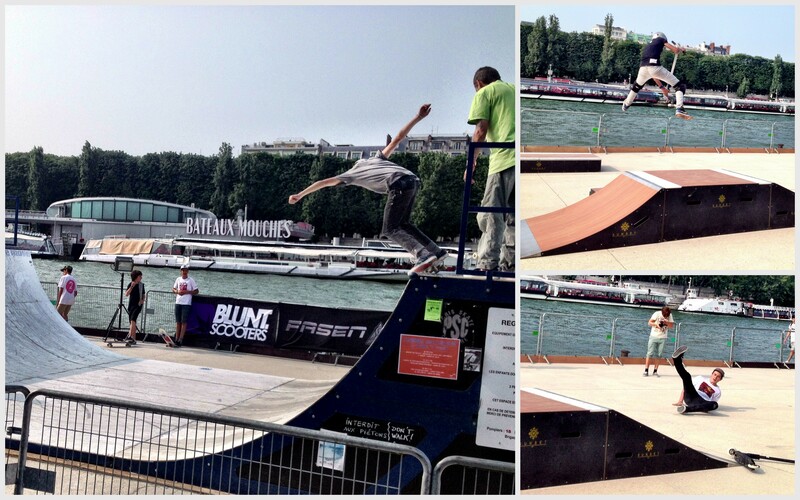 Les Berges exceeded all expectations! 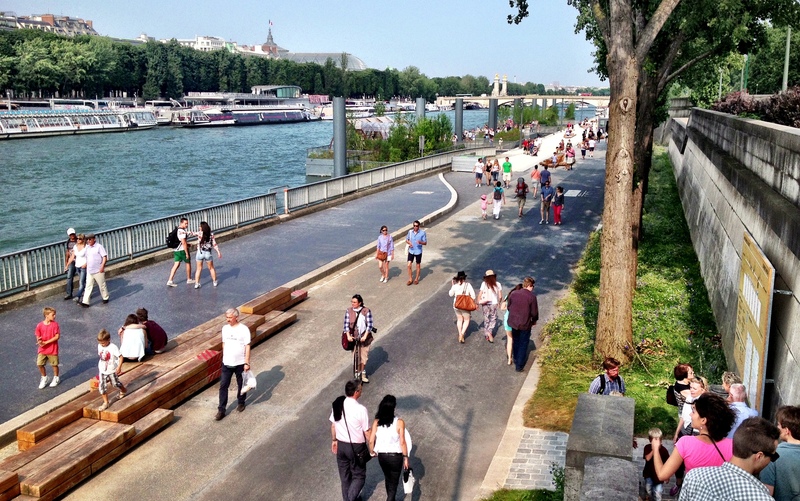 On the river’s left bank, between Musée d’Orsay and Pont de L’Alma (the Alma Bridge), an area of 2.3 kilometers has been converted into a cycling and pedestrian zone. 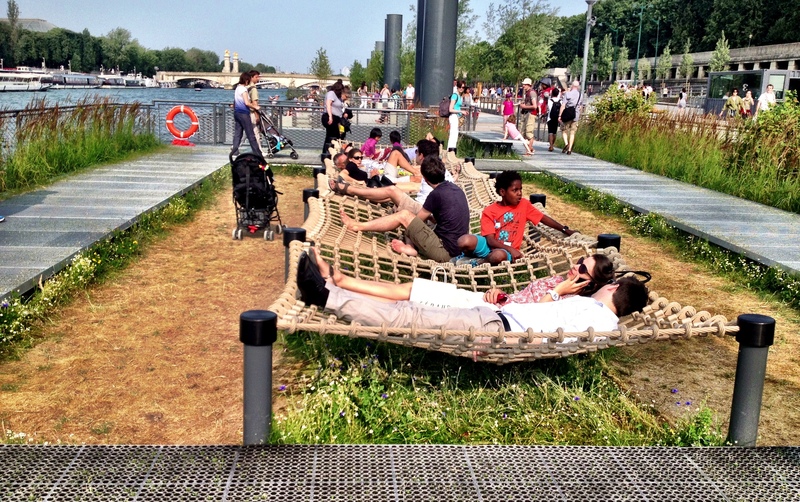 The river bank project, which spans six of Paris’s downtown bridges, is structured along several themes: nature, culture, leisure and sports. 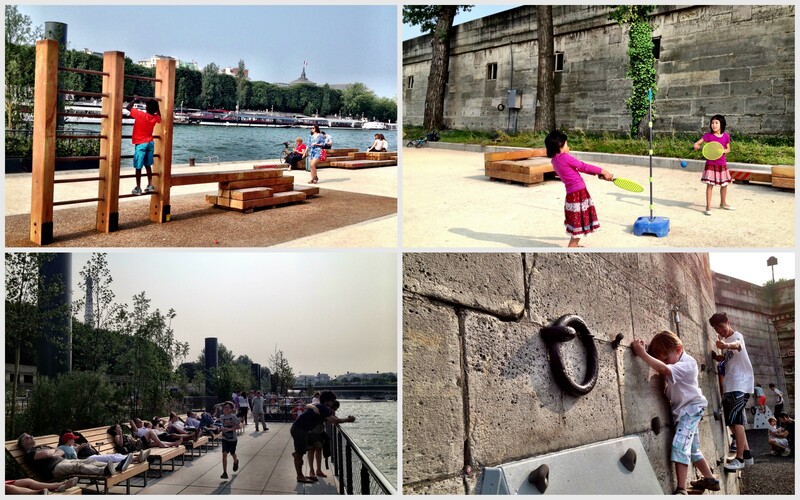 Les Berges aims to become a space in which Parisians and visitors of all ages and interests can mingle. Additionally, as part of the Paris Biodiversity Plan, the redevelopment will bring nature back to the urban core. Bertrand Delanoë, Mayor of Paris (2001- 2014) and member of the Socioloist Party, decided he would not stand for re-election and thus wanted to create a lasting legacy of his tenure. 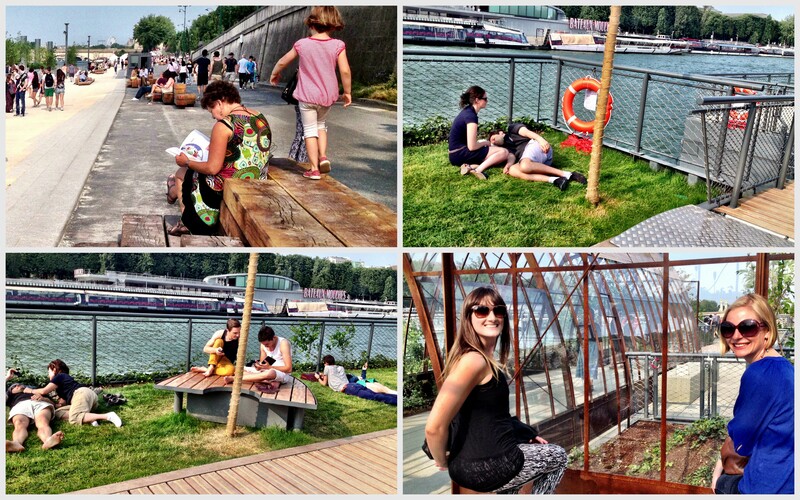 Les Berges, estimated at €40 million project, does so quite tangibly. Delanoë is a cycling and public space enthusiast, and was an instrumental figure in many of Paris’s recent measures to expand cycling and pedestrian infrastructure (including the Vélib bike-sharing system, widely considered one of the most successful public bike sharing systems to date). Walking around the area or hoping on a Vélib bike, it becomes evident what influene a mayor can have on a city. Thankfully for Paris, this is a good thing. Want to know more? 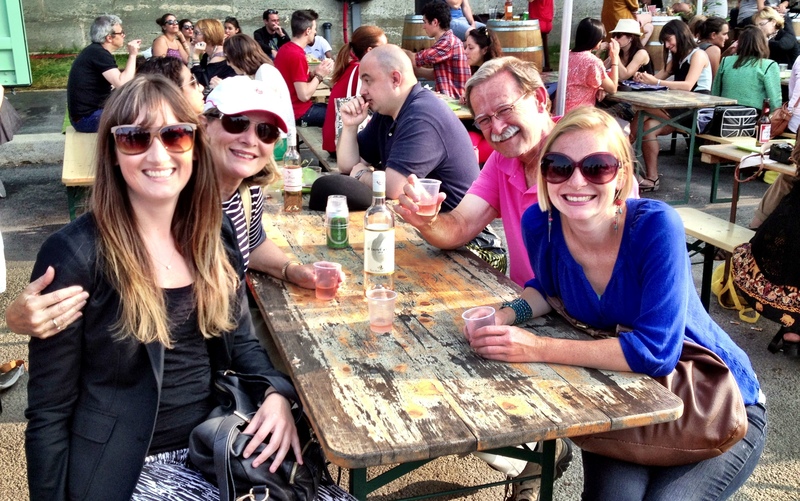 Check out the Les Berges website or project plan. There is also a calendar of events, if you are visiting to Paris. And, as the saying goes: a picture says a thousand words – I kept my camera busy! 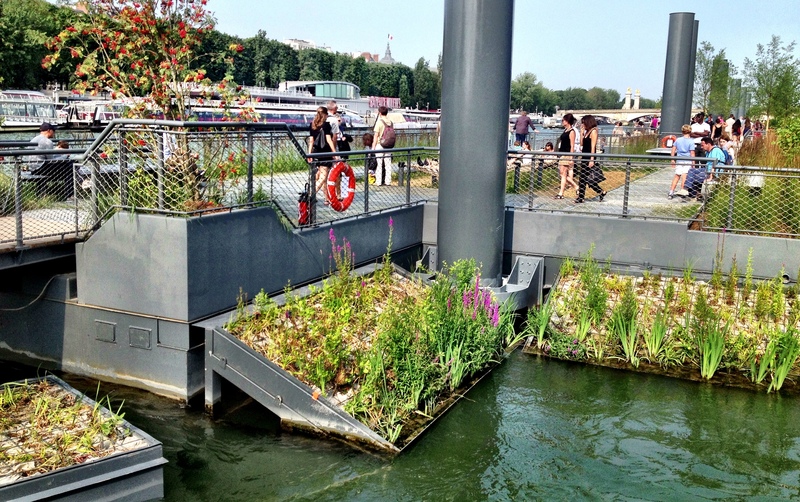 Cleaning the Seine River with reed beds – urban ecosystem services in action! Only a few problems remain… you have to wait your turn. No worry though, there are plenty of other places to relax! 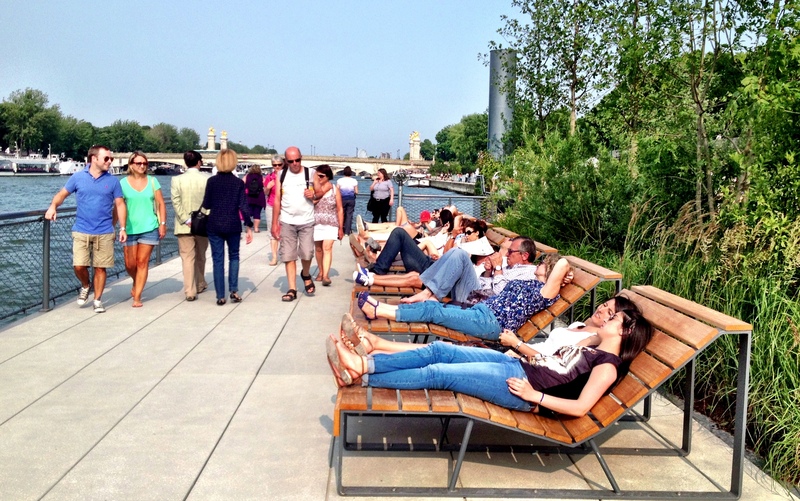 Les Berges spans an area covered by six bridges, providing a bit of shade for the warmer days. 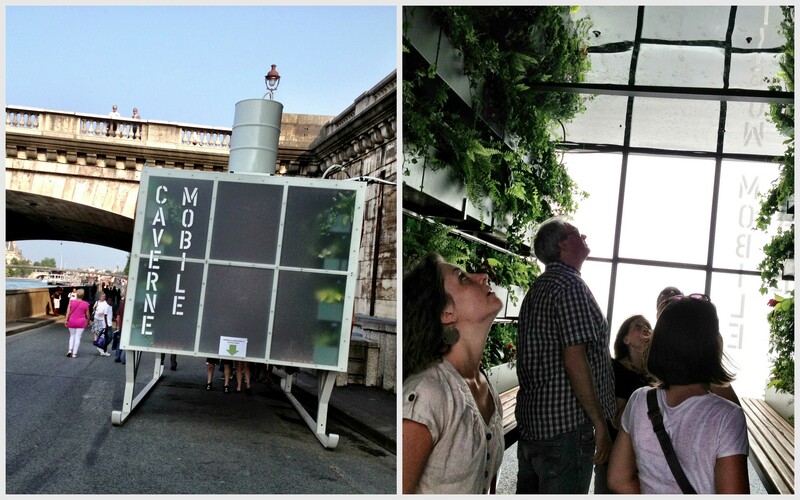 We also experienced sound installations under some of them. 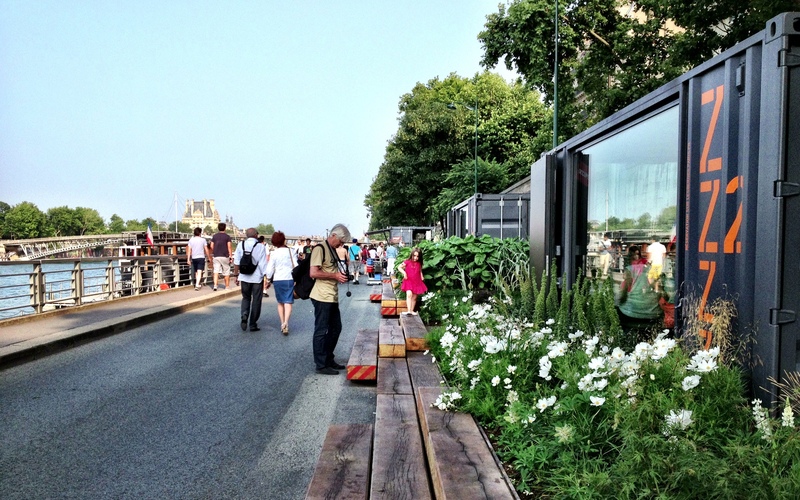 Near Port de Solferino, you can rent one of these containers – either for dinner with friends, a short rest or to enjoy the varied garden spaces, inspired by Paris’s most famous artists. 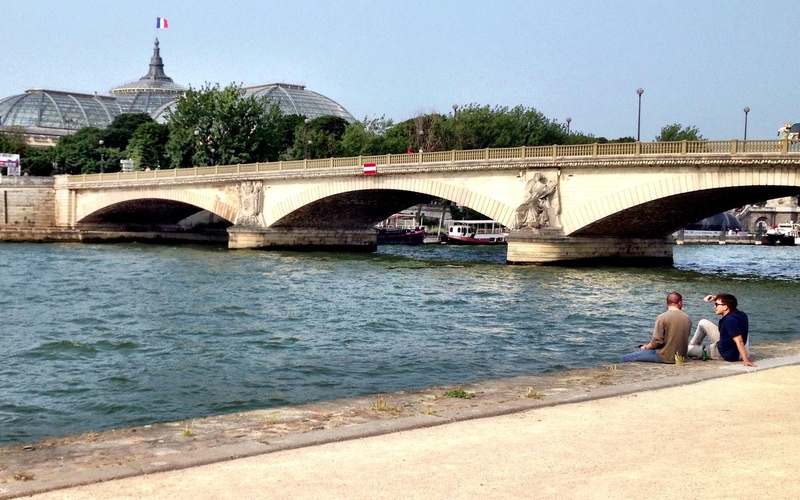 Called ‘ZZZ‘- rest and relaxation are required, even in the heart of Paris! 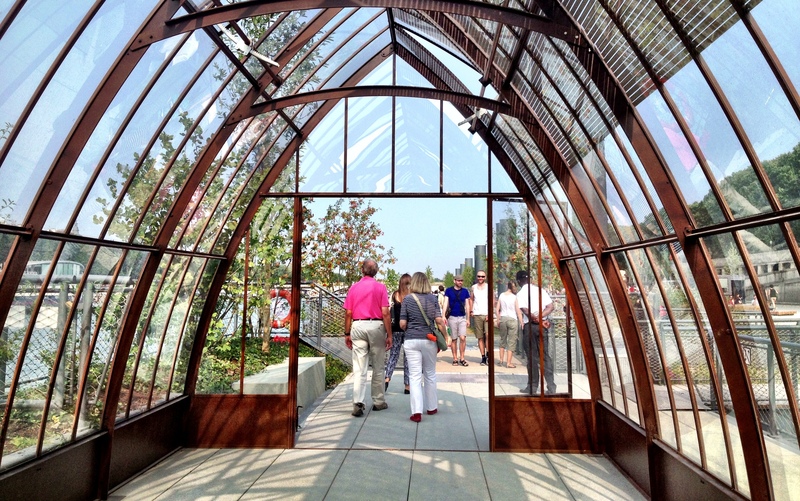 A portion of the walkway features summer vegetables and herbs – well labelled and edible! 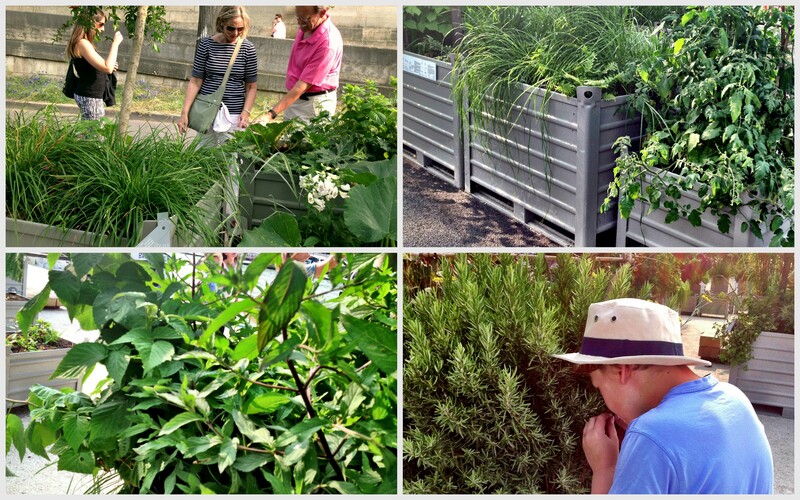 Here we found tomatoes, raspberries, pumpkins, herbs, corn and much more! 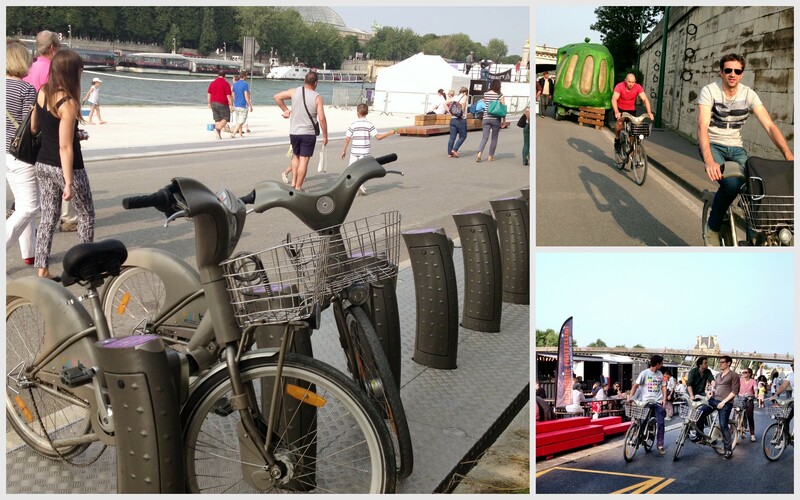 The Velib bike rental system, found throughout Paris, has several stations along the Les Berges pedestrian/ cycling zone, with many bicycles in use! 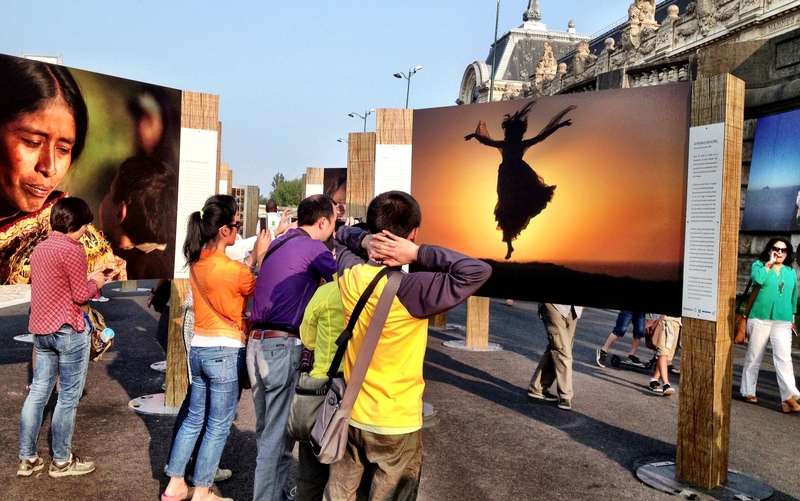 Art Expo space for travelling exhibitions, in front of Musée d’Orsay. This one was on coffee growers and traders.